Magnesium-rich foods contain one of the body’s “jack-of-all-trades minerals,” that being magnesium, of course. Every cell in the human body relies on the presence of magnesium to carry out essential biochemical processes that keep cells functioning normally. This often undervalued mineral plays a role in more than 600 chemical processes throughout the body. As one relatively small organ in the body, the heart works incredibly hard at keeping blood flowing, and it does this on a nonstop basis. In order to keep working as it should, the heart requires huge amounts of energy on an ongoing basis. The magnesium contained in magnesium-rich foods plays a central role in providing the level of energy the heart needs to do its job. Cells use magnesium to produce ATP, the energy molecule that fuels every process in the body. The ATP production process takes place in three stages, and magnesium is needed to carry out all three stages of the process. Not only that, but ATP molecules must attach themselves to magnesium ions in order for cells to be able to use them. In effect, magnesium enables the heart to receive the energy it needs to keep the body alive. 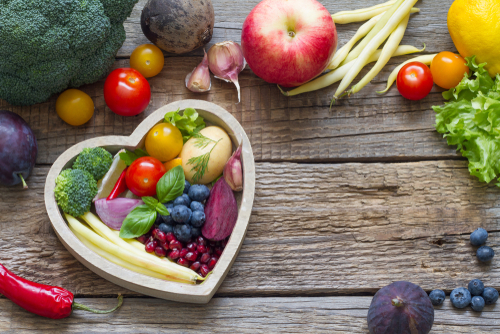 Promoting healthy blood pressure levels is yet another key benefit of magnesium-rich foods. Magnesium has direct and indirect effects on blood pressure levels, both of which are important. The role magnesium plays in biochemical processes within the nervous system helps relax the “smooth muscle” cells that line your veins and arteries. This action prevents blood passageways from constricting, allowing blood to move through freely. Magnesium also prevents calcium from building up in the arteries, which can also impede blood flow when left unchecked. In fact, preventing calcium buildup in the arteries can greatly reduce your risk of developing cardiovascular disease. While wonky circadian rhythms and high stress levels can make it hard to fall asleep at night, a magnesium mineral deficiency will most definitely make it difficult to get a good night’s sleep. Magnesium’s role in regulating nerve and muscle activities not only enables the body’s muscles to relax so sleep can come but also relaxes or “shuts off” the mind. 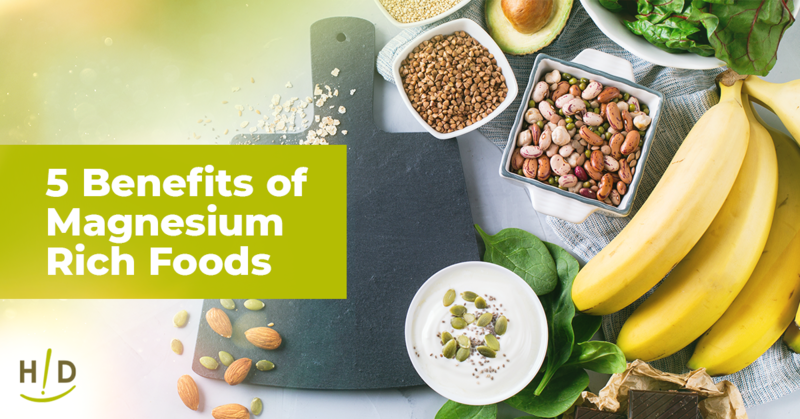 So, if you’re having trouble getting to sleep, staying asleep, or not feeling rested when you wake up, including more magnesium-rich foods in your diet may help. The body’s digestive tract relies on a series of enzyme reactions to properly break down, digest, and absorb nutrients and to eliminate waste. When a magnesium deficiency persists, digestive problems such as constipation, bloating, GERD, and acid reflex may well develop over time. Magnesium plays a vital role in each of these reactions. 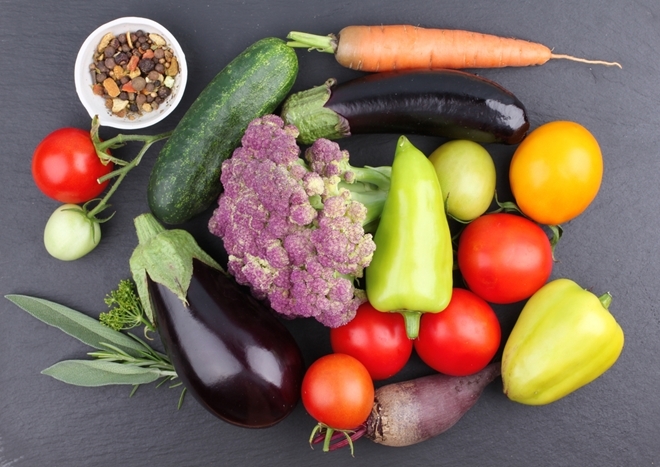 Digestive processes in the mouth, stomach, intestines, and pancreas all require magnesium to produce the enzymes needed to convert and deliver food nutrients to the body’s systems. While increasing your intake of magnesium-rich foods can help, if your body is unable to properly absorb this vital mineral, a quality magnesium supplement may be needed. Hallelujah Diet makes a supplement for just this purpose called Magnesium Complex. Magnesium Complex combines four bioavailable forms of magnesium and is specifically formulated to be rapidly absorbed in the body. So, if you’re looking a magnesium supplement that the body can actually absorb and use, Magnesium Complex is the way to go. I think I am deficient in Magnesium. I had been taking Magnesium supplements, but stopped. 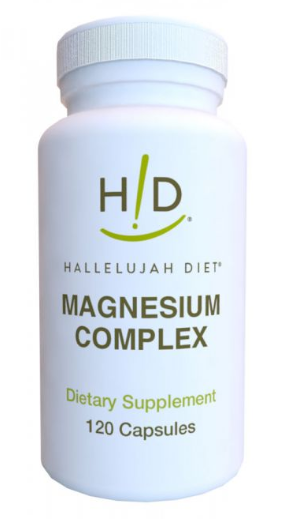 I’m going to begin taking Hallelujah Diet Magnesium supplements soon. I know it is important to good health in many ways. My favorite supplement! Take it every night. I have two conditions and am wondering if you have any knowledge of some natural help I could get. The conditions are: AIED, auto immune inner ear disease. I have lost about 80% of my hearing due to my immune system attacking my hearing. The other is: neuropathy in my feet which is gradually getting worse. I have had tests done which basically resulted in hearing there is nothing we can do to stimulate the nerves. They are dying and it can’t be prevented or reversed. Am I at a dead end or can you help in some way. Thank you and God bless. 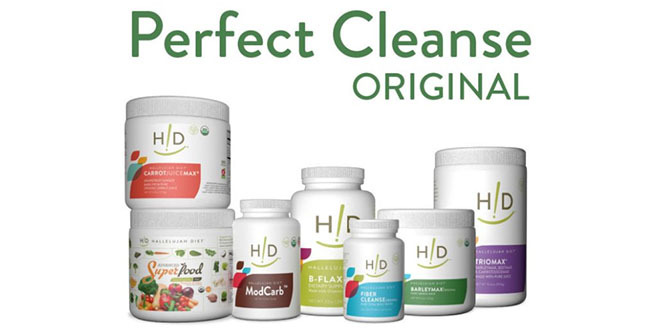 Olin Idol, HD Vice President of Health, sent me the following supplements suggested by Russell Blaylock, MD.